Solving IT puzzles: NDepend 6 is out! 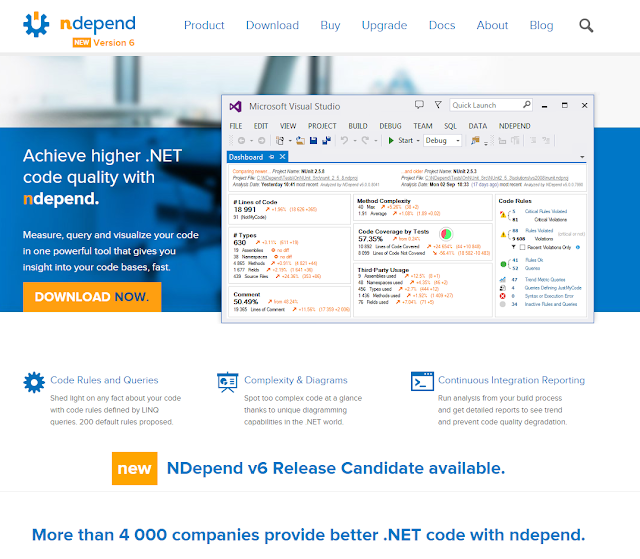 NDepend 6 is out and with a bit of luck, I'll get the opportunity to get a fresh license and see what's fresh in this release. If you don't know what I'm talking about: NDepend offers a wide range of features to let the user analyze a code base. It is often described as a Swiss Army Knife for .NET developers.